London lyricist Big Toast makes cynical, lairy hip-hop music to eloquently reflect the declining state of British society. 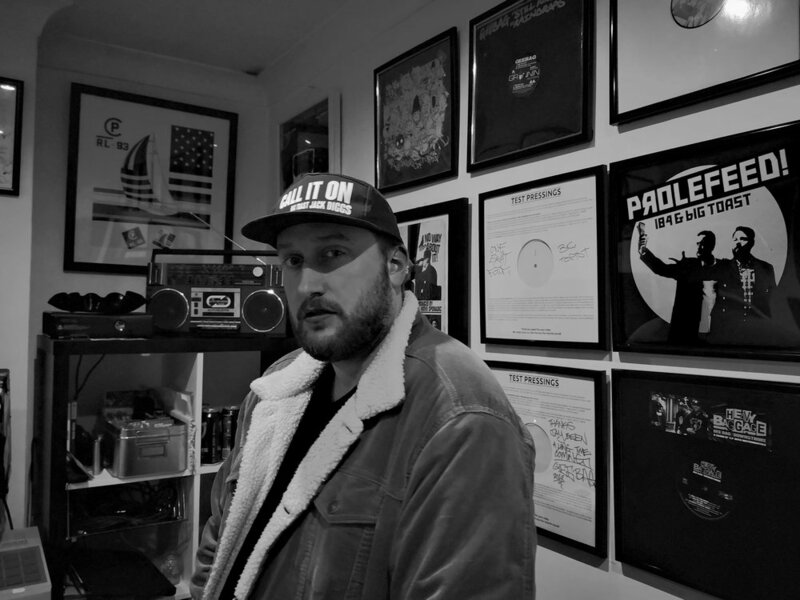 A regular in the Croydon boozers and live hip-hop circuits, 2012 was the year Toast founded Revorg Records, cementing him as one of London’s most expressive underground rappers. Since the founding of Revorg, Toast has seen his profile rise over a succession of acclaimed solo and collaborative projects. In December last year, Toast regained the nation’s attention with the release of his latest solo album, Prolefeed. On the evening of this interview, Toast had just finished work and was mucking about, searching for a pint. Toast had a busy evening ahead, as he was set to appear on Pyro Radio in the next hour. Afterwards, he planned to reach Gee Bag at his EP launch in Brixton. Over the course of our conversation on his wander to the pub, Toast spoke in depth about his past, from recording raps on a tape-deck to founding Revorg. In amongst it, Toast discusses each project up to his most recent release, Prolefeed and reveals what is in store for 2019. “Initially US because I didn't know a lot about UK,” Toast recalls, answering which inspired him more; UK or US hip-hop? “I suppose it was really only when the internet came along. I didn't have a computer until like, 2004 so yeah. Once I got online and that, I started digging a little bit deeper and found a bit more UK. Before that it was, not quite mainstream but a bit more of the standard US - Nas, Wu Tang and all that. Big Toast, thank you for your time. Any final shout outs?